The words SYMPATHY and EMPATHY are often confused with each other and we all have this idea that they are interchangeable. However, that’s not completely true. But still, you should know the exact meaning of the two words and how to use them in different situations. Though the word has more than one meaning, it’s largely used to convey your sorrow for someone who is experiencing misfortune. In a way, sympathy is a feeling that carries a message that you are acknowledging other person’s emotional hardships and providing comfort and assurance. Let’s learn how to use this word. • My family’s sympathy on the death of my father gave me a lot of strength. • She never expressed any sympathy when I was injured. • I have no sympathy for those people who are afraid to work hard in life. Just like sympathy, empathy also means that you feel sorry for other person’s hardships, but the feeling of empathy is a bit different from sympathy. Empathy is actually the capacity or ability to imagine oneself in the situation of another, thereby vicariously experiencing the emotions, ideas, or opinions of that person. Empathy is to put yourself in another person’s shoes and looking at the problem with his point of view. • Only a mother can have empathy with her child’s pain. • I can empathise with your grief because my mother also passed away in my childhood. • Politicians can never really empathise with the problems of the poor because they themselves lead a very comfortable life. If your feelings toward someone who is experiencing hardship are limited to SYMPATHY, then you might have a sense of regret for that person’s difficulty but are not feeling her feelings as if they’re your own. However, if you have the feeling of EMPATHY for someone, it means you can actually experience what the other person is going through. Of the two, empathy is a deeper feeling, but sympathy can be just as honest and heartfelt. 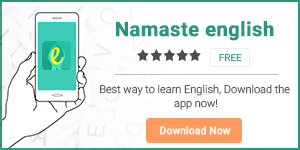 To improve your English vocabulary, download our English learning app Namaste English.